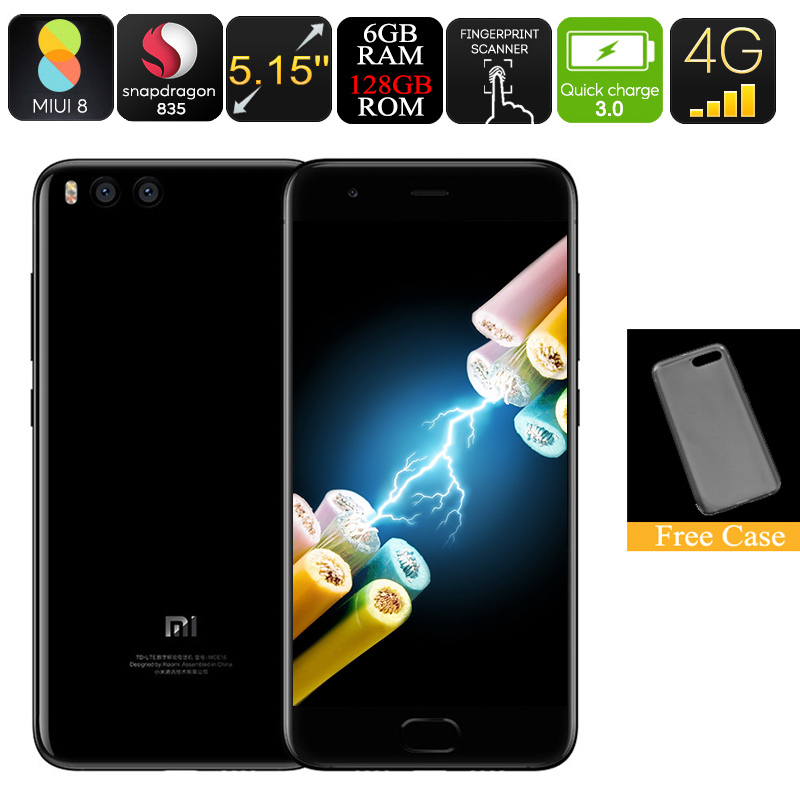 Successfully Added Xiaomi Mi6 Android Smartphone - Snapdragon 835 CPU, 6GB RAM, 128GB Internal Memory, Quick-Charge, Dual-Rear Camera, 4G to your Shopping Cart. The Xiaomi Mi6 is the latest Android phone from one of China’s most trusted and well-known companies. This flagship smartphone features high-end specs which are brought to you for an extremely good price. Xiaomi is famous for producing high-end devices at affordable prices and with the Mi6; they have once again honored their reputation. Like all their previous phones, this Android phone features the latest hardware and a sleek stylish body. This Android phone does not only treat you with a powerful experience. Its look and touch also make it feel as if you’re holding a true masterpiece anytime you use your Android smartphone. With its stunning 5.15-Inch Full-HD display, this smartphone is sure to turn some heads. By portraying all your media in mesmerizing 1080p resolution, the Mi6 lets you enjoy vivid colors and sharp details. Whether you’re playing games, watching movies, or browsing the web – you’ll always be treated with stunning visuals. Access to the Play Store allows you to freely download millions of the latest mobile Applications. With Dual-Band WiFi and 4G connectivity, you’ll be able to download the latest media in the blink of an eye. Its 3550mAh battery will get you through the most demanding of days and Quick-Charge 3.0 recharges your phone at lightning speeds whenever necessary. This flagship smartphone packs some of the latest hardware the industry has to offer. The powerful Snapdragon 835 chipset brings along an exceptional experience whenever you switch on your Android device. As an Octa-Core processor that runs at 2.45GHz, this piece of hardware lets you enjoy the latest games and media without dropping a frame. Additionally, this latest Android phone packs 6GB of RAM and 128GB internal storage. Thanks to this, you’ll be able to multitask and store all your downloads without needing to worry about storage space. The Mi6 supports 2 IMEI numbers thanks to which you can always be reachable on two phone numbers simultaneously. Whether you’re at home or traveling abroad, you’ll always be able to stay connected to friends and family. When traveling abroad, you’ll furthermore be able to snap breathtaking images of all your upcoming adventures. The phone’s Dual-Lens 12MP rear camera snaps professional-grade photographs at any time of the day. It furthermore is capable of shooting 4K video. With its Android 7.1.1 OS, you are treated with the latest software features and a smooth user experience at any time. No matter what you’ll use this Android phone for, it is sure to meet your demands. This Xiaomi Mi6 comes with a 12 months warranty, brought to you by the leader in electronic devices as well as wholesale electronic gadgets..